People who are looking into buying their first home have got their work cut out for them. It’s not easy to save for the down payment, research mortgages with good interest rates, and figure out what closing costs are. On the upside, first-time buyers can benefit from several programs designed to provide them with financial assistance, funded either by federal agencies, state authorities, or city-level organizations. However, understanding how they work often only goes to complicate matters even further. To this end, this article aims to explain the definition of the typical mortgage credit certificate program. Usually called an MCC for short, this is a certificate released in some states, or by specific local governments. 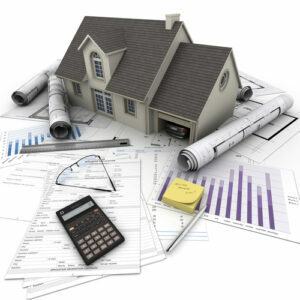 Its purpose is to help home-buying taxpayers to claim mortgage interest credit for a specific fiscal year. The tax credit will only apply to a part of the interest, but it’s still a viable option when you’re trying to save money on buying a new home. Its aim is to help first-time buyers qualify for home loans, by waiving a part of the interest on their mortgage of choice. At this point, it’s important to understand that a tax credit and a tax deduction are not the same thing. Whereas the former will save you just the amount of money it specifies in tax, the latter will also depend on the taxation bracket you find yourself in as an income earner. In most cases, financial aid like the MCC tax credit program is likely to save a home buyer a lot more money than any tax deduction. Another key difference between tax credit and tax deductions is that credit is usually estimated each month and added as extra income, to help the beneficiary become eligible for a more competitive mortgage loan. Prove they will be using the home in question as their main residence. There are, of course, some exceptions to the above rules. For instance, in an area that has been recently hit by natural calamity, the authorities at either state or local level might decide to temporarily lift (or increase) the income limits in the affected areas. By making MCCs more readily available they are effectively encouraging the areas that have taken a hit to rebuild themselves quicker. How can I use an MCC credit? The main limitation in using mortgage credit certificates has to do with the price of the home to be purchased. Current regulations stipulate that an MCC can only be used with a conventional (or conforming) home loan, from the USDA, VA, or FHA. The MCC will help them qualify for a slightly bigger home loan, as the tax credit it entails is calculated as extra income. In other words, an MCC will cut down on your tax liability, at dollar-for-dollar value. It will do so by slashing a certain percentage of the interest you’ll need to pay on your mortgage of choice. When it comes to how much money you get through an MCC, scenarios will differ among states that offer such programs. However in states rated above 20 per cent by the IRS, the top threshold stands at $2,000 per annum. This means that even if you’re eligible for an MCC that provides 30 per cent mortgage interest credit on a large loan (say, one for $200,000 over 30 years’ time), you’ll only receive $2,000 in credit. On the upside, you will continue to benefit from the MCC for as long as you live in the mortgaged home and still own the loan in question.